While it is true that there are many cities across the globe that is incredibly diverse in its population, there is practically only one place on this globe that can back this claim. The modern city of Dubai, as one researcher would attest, offers close to 97% foreign bred inhabitants. New York City, which is widely acclaimed as the melting pot of just about every race on Earth can only offer a normal 37% of migrants in its population. It is quite hard to imagine that not too long ago, this Middle Eastern city was a sprawling collection of humble abodes and fair sized buildings dominated by a motley crew of Arabs from somewhere in this region. The turning point of Dubai happened immediately upon the discovery of oil in the Fateh Oil field. Since then, Dubai City has given rise to some of the most impressive and diverse architectural designs that can be crammed into a single, albeit very large, area. Among its many wonders are the Burj Khalifa, which is the tallest building on earth, the 200 artificial islands, and the Burj Al-Arab which is only one of a handful of seven star hotels in the world. In a few decades, Dubai City rose from almost a barren desert into one of the most sought after tourist destinations in the world. It is indeed a modern architectural and cultural wonder, unlike any other city. Because of the kind of development the city has undergone during the past years, leaders from numerous countries have voted Dubai has the host for the 2020 World Expo. 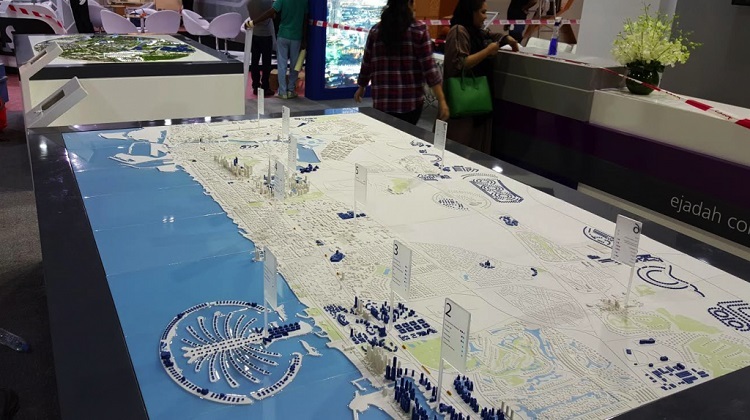 Since there is a very clear attraction to Dubai from millions across the globe, a Dubai-based firm named Ejadah Management Consultancy has decided to feature this magnificent city in a very large 3×2 meter 3D printed spectacle showcasing Dubai and its many architectural wonders. 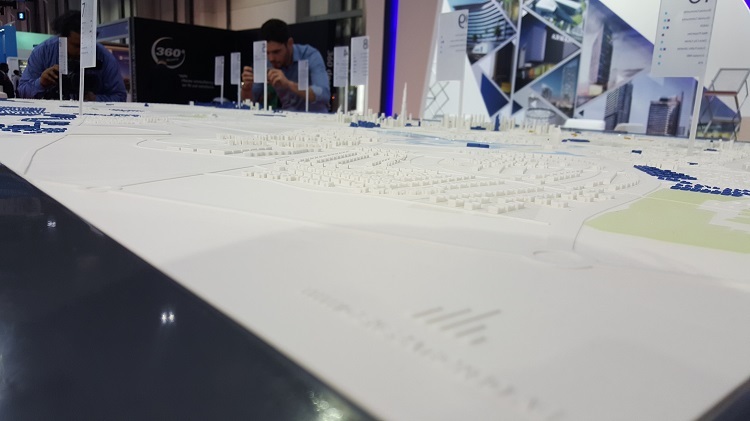 The amazing display was unveiled to the public during the Cityscape Global presentation at the fabulous World Trade Centre. 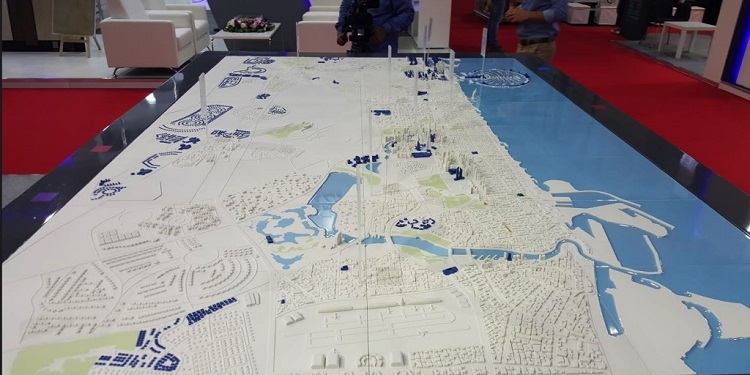 To get the job done of 3D printing this magnificent city, the Ejadah Management Consultancy turned to the primary authority when it comes to large scale 3D printing in the region, the Generation 3D company. 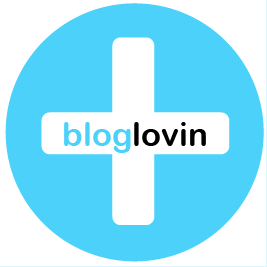 This is the same company that is considered by many as the one stop of all 3D needs. It is also a company that provides 3D technology to architectural and engineering projects based on the high standards of 3D printing used for Formula 1 races. 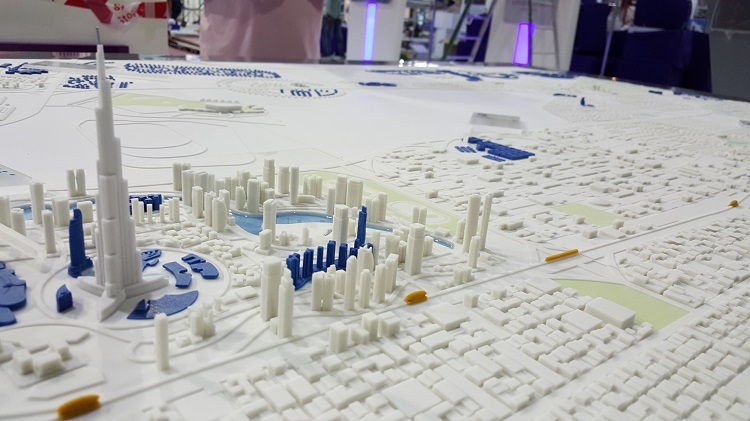 Using a highly reliable 3D printer called the 3D Systems ProJet 860 Pro, the 3D printed miniature version of the city came into being. It took Ejadah Management Consultancy and Generation 3D several months to create the design and concept behind this incredible display. Before the printing was done, the digital model was done using Computer Aided Design or CAD while using Google maps as reference for the accuracy of the model. Amazingly, despite being fragile-looking, the whole 3×2 meter 3D printed set can be dismantled in a couple of minutes and can be stuffed inside two flight cases! 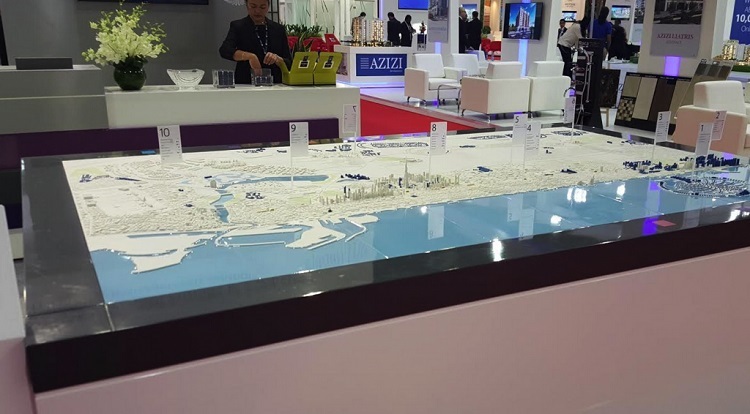 After the Cityscape Global presentation, it will be taken by Ejadah Management Consultancy to their main office to attract curious observers and potential customers alike. 3D Printed Voxel – Is It a Table or a Seat?